Feeling drowsy throughout your day? Always need that cup of coffee first thing in the morning and possibly in the afternoon? Well, you’re not alone. Getting enough sleep every day is essential for proper functioning and well-being, but many people do not get the recommended amount of sleep that they should per night. The average adult should sleep 7 to 9 hours every night. Depriving your body of just an hour of sleep per night can have a cumulative sleep deprivation effect. Sleep deprivation can decrease short term memory as well as increase your chances for obesity, diabetes, high blood pressure, and depression. So, what can you do to prevent sleep deprivation and keep your body and mind sharp? Follow the guidelines below to help you kick start your new healthy sleeping schedule. Make sleep a routine…and not just one you follow on work nights. The best way to continue to get good rest is to put your body on a cycle. Try going to bed around the same time every night and waking up the same time every day. A good way to tell if you are getting enough sleep is if you naturally get tired and wake up around the same time every day. Exercise daily. A daily exercise routine of just as little as 30 minutes can help you fall asleep easier and get better quality sleep. In just 3-10 minute exercise bouts throughout your day you can improve your quality of sleep. If exercise is new to your routine, try not to work out too close to bedtime. While exercise can help you sleep at night, it can also stimulate your body so give yourself a few hours at the end of the night to wind down. Keep your bedroom calm, cool and comfortable. Create an environment that is made for sleep by making the room a cool temperature and keeping stimulants like TV, and electronic devices off. If you need noise to help you fall asleep consider a white noise machine. If reading on a tablet relaxes you, use the night reading feature to not over stimulate your brain. The key is to keep lights dim to get your brain to sleep mode. Watch what you eat….and drink. Certain foods and drinks that contain alcohol and caffeine can be enemies of sleep. While alcohol may make you feel tired it can actually block you from getting quality sleep. Caffeine will not make you feel tired and it can also hide in common drinks and foods. Chocolate, for instance, has caffeine as well as decaf coffee and soda. Make sure to read labels and know if caffeine is hiding in your food and drink. Help yourself to some stress management. Try different relaxation techniques such as stretching, listening to calm music or getting organized. If you still have a cluttered mind, write down your thoughts and what needs to be taken care of. Put it aside before bed and pick it up tomorrow. Feeling good before bed and clearing your mind makes for a restful night’s sleep. A good night’s sleep is an important process to start any day with a productive and sharp mind. Using these helpful tips, you can be naturally energized and on your way to healthier living. If you continue to be frequently tired, consult with your physician. 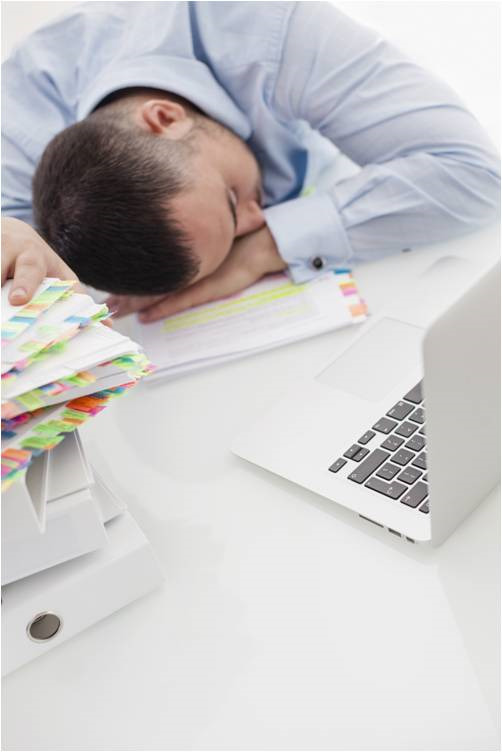 There may be underlying causes for fatigue and sleeplessness. Sleep well and prosper! On average, how many hours of sleep do you get per night?